Whipmaker experienced fifteen whose products contribute to validate the perceived Made in Italy in the world. I built whips and build for artists, collectors, amateurs, circuses and private. I personally think that a serious and professional whipmaker should be able to meet the expectations of the customer. A true whipmaker will have to build a product perfectly consistent with the characteristics decanted. 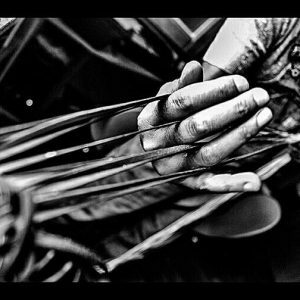 The attention to detail found in the outer part should not be privileged in spite of the care, study, skill and patience dedicated to building the interior of which is the “muscle” of a whip. Like all crafts the preparation of a whip takes a lot of time, love and patience. Each material used in the construction of my whips is carefully selected, use only quality leather and reliable source protected and certified by the Washington Convention. Each whip is handmade in all its phases with observing and studying the customer, in a ratio of discretion, respect and confidentiality, the real destination, features, specifications and color scheme. All my whips are well balanced to ensure a smooth manual and designed to produce the best results with the least physical effort .. Build whips for over 15 years and can assure you that mine are not made to be hung on a wall!